Sophia Supersoft Jeggings is rated 4.3 out of 5 by 205. 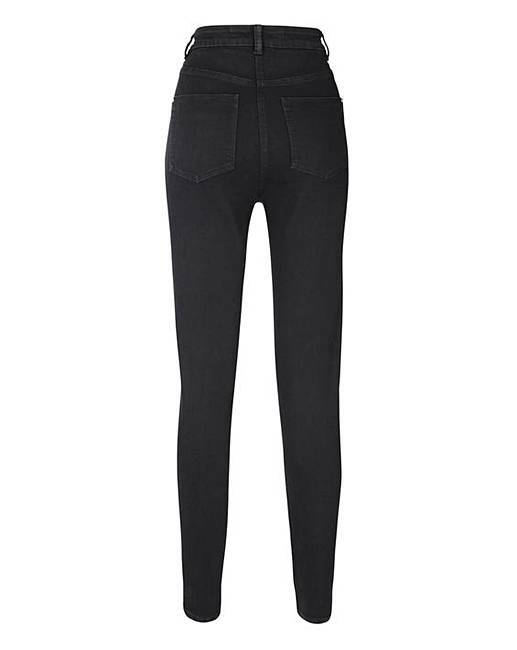 Enhance those curves and feel like a goddess as you slide on these fabulous jeggings. Designed with both style and comfort in mind, the Sophia Supersoft Fly-Front Jeggings are super-stretchy for a relaxed, comfortable feel that lasts all day. 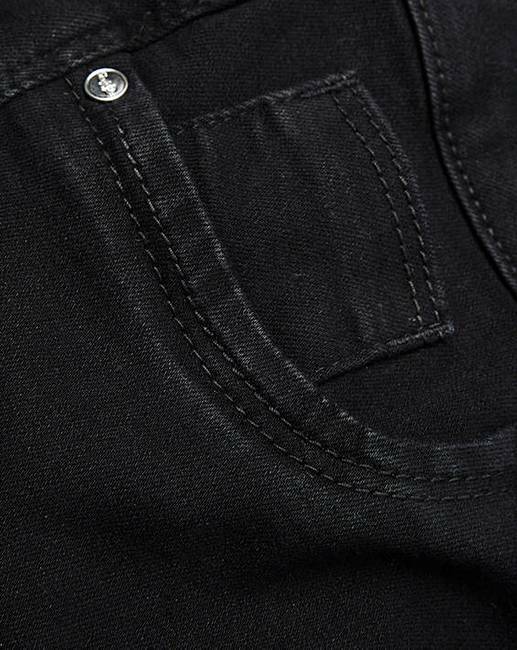 With mock front pocket detailing and functional back pockets, these jeggings look just as good as they feel. 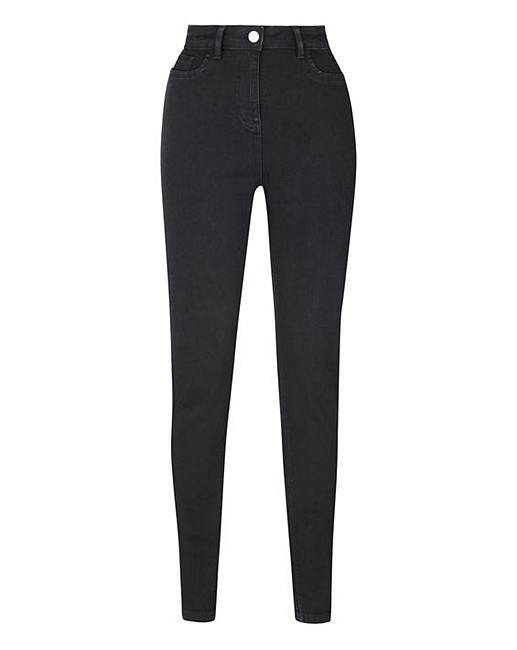 The skinny leg ensures a snug fit, whilst the simple style makes them incredibly practical and easy to wear. Team with some patent flats and a loose-fitting jersey top during the day, or glam up in the evening with a sheer blouse and pointed courts. An essential in your spring/summer wardrobe. 38% Viscose, 37% Cotton, 23% Polyester, 2% Elastane. Rated 4 out of 5 by Suzie89 from Comfy Jeans but ........... Ordered my first pair of these a few weeks ago and they are lovely, soft, stretchy and all round comfy to wear. So I decided I would order another pair the same but these ones were too tight, like a size smaller and had to be sent back. Size was way off. Rated 5 out of 5 by LucyLou from Super Comfy I am so surprised with how comfy these are and they look just like regular jeans. Rated 2 out of 5 by Shieldsy from Size difference between colours Bought these in indigo and black. I'm The top end of a 14 and bought a 14 as reviews said they were generous. Tried the black on first and couldn't get them over my calves. I was beginning to think I am lying to myself about my size but thought I'd try the indigo. They fit brilliantly!! The size difference is at least one size. For a company that is for curves women they sure know how to make you feel bad about yourself!! Rated 3 out of 5 by Lozzer57 from Good quality, poor fit I had some of these 2 years and the fit was and is still great but this new pair had to go back as they were too tight and the waist was too low compared to the previous pair.